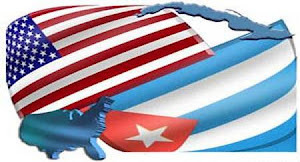 By JIM ABRAMS (AP) – 4 minutes agoWASHINGTON — U.S. restrictions on travel to Cuba that led to the New York Philharmonic calling off a trip to the communist country are outrageous and should be ended, a senator who has long called for lifting trade and travel restraints said Monday. "This is almost unbelievable what we are still doing with respect to travel policy with Cuba," Sen. Byron Dorgan, D-N.D., said in a speech on the Senate floor. Dorgan, who has introduced legislation to lift prohibitions on travel to and from Cuba, said he has written the Treasury Department office that issues travel licenses to "see if we couldn't get them to think straight just a bit." The New York Philharmonic, which last year played before audiences in North Korea and is soon to hold its first concert in Vietnam, received approval for its musicians and staff to go to Cuba. But the orchestra decided to call off the trip after Treasury's Office of Foreign Assets Control denied travel licenses for about 150 patrons who had agreed to cover the costs of the Oct. 30-Nov.2 trip and had expressed interest in accompanying the orchestra to Havana. The visit would have been among the most high-profile cultural exchanges since Fidel Castro seized power a half-century ago, and would have coincided with the Obama administration's policy of gradually improving relations with the island nation. Current law permits some travel to Cuba for Cuban-Americans visiting family members. Travel licenses are generally limited to certain categories of visitors, such as journalists or professional researchers, and restrictions on financial transactions related to travel further hinder visits. Dorgan said that while waiting for Congress to act on his legislation, "we are going through this nonsense of having the federal government and the Treasury Department tell us who can and who can't travel. Restricting the liberty and the freedom of the American people, it's outrageous, in my judgment."